6" X 6" Elegant Over Head Shower Panel. Introducing our best 6" x 6" Over Head Shower Panel. This product is made from 100 % Virgin and recyclable Plastic Material which is resistant to Corrosion due to hard water. Ideally suited for all regions and all temperature zoned around the world. Elegant Chrome Finish for superior look. Real Value for Money product. 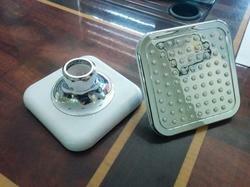 we are deleting with all type of sanitary and bath room fitting like shower. types etc. we all so supply bath tub in veryous rang with jakoji and shower panels. 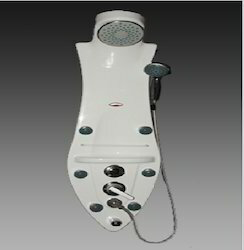 Our firm is trading, supplying and distributing Bathroom Accessories. These products are made using optimum quality material, sourced from reliable vendors of the market. Furthermore, we make sure to offer the range at leading industry rates to the clients. The range offered by us includes Shower Panel, Bath Tubs, Whirlpool Tubs and Steam Box/Shower Box, among others.